Photos from childhood and beyond. Great-grandparents young and wide-eyed, dressed to impress with their proper looking parents. Baptism, marriage and death certificates. Love letters and valentines, plans for a marriage and choosing the carpet for their first house. The bill from a hotel in Bournemouth for seven nights as a honeymoon in 1954. Letters hoping for a pregnancy, disappointment, then the arrival of a baby girl, first to visit then to be adopted. Stories of school days, an old school tie and report cards. Tiny meticulous writing and immaculate drawings and plans as Dad studied and worked to get himself qualified as a Surveyor. Mum’s notes from her first teaching job and her passion for education which has stayed all her life. 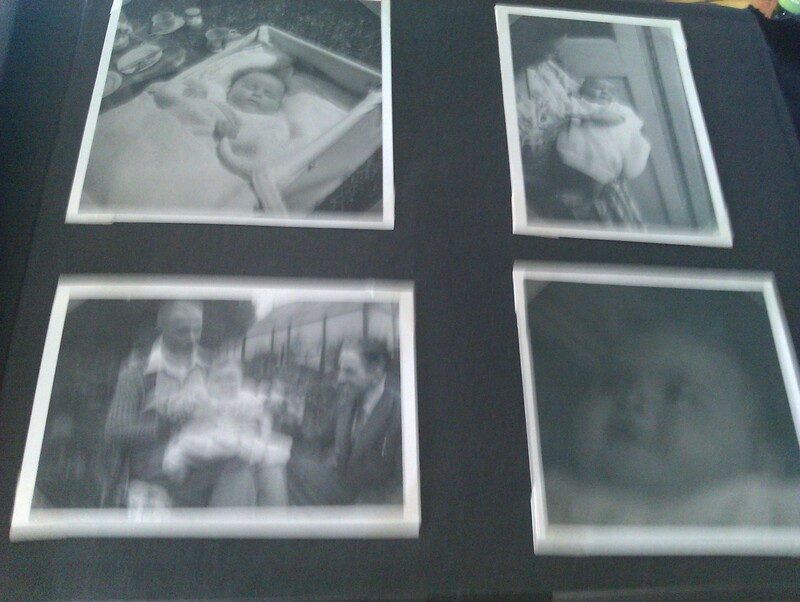 Cards and pictures drawn by the grandchildren, notes in diaries of births and birthdays. The photos up the staircase are a family history in themselves, back further than I remember. 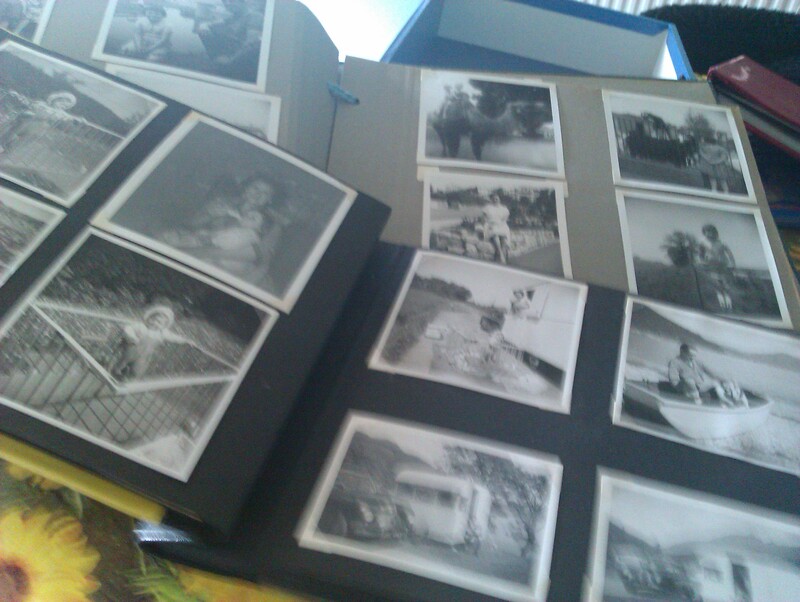 Stray photos in albums and boxes stir half-remembered conversations and the wish I’d made sure they were all labelled some years ago. I know I am the last person who will know who some of these people are, it feels like quite a responsibility that they should be named and recognised somehow. So much connection, such a lot of love. 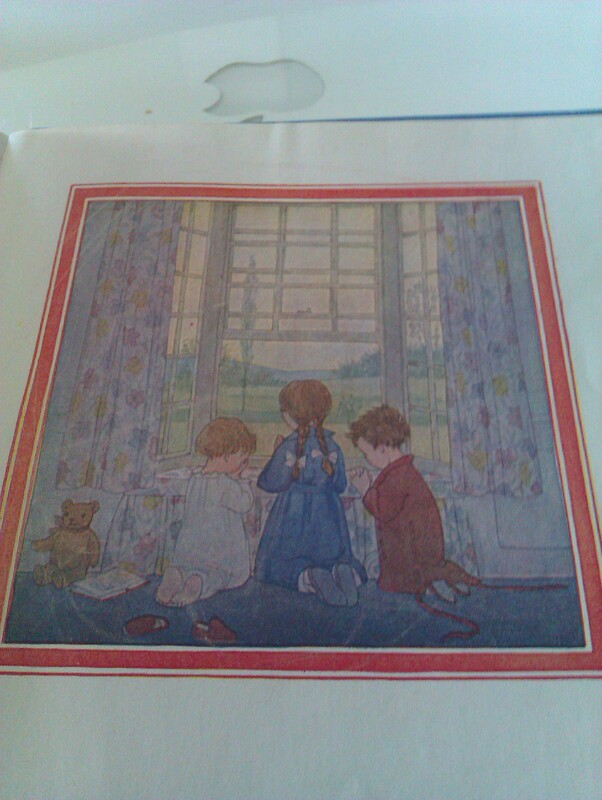 Prayer books and children’s stories, family Bibles and tales of travel in foreign lands. Maps and guidebooks galore, the history of a wandering soul with a love for adventure and a taste for the great outdoors. Every box, bag and envelope contains treasures amidst the paper collection of two inveterate hoarders. They make me smile, sigh and blink back the tears and ache to ask the questions for which there will be no answers anymore. Today two of the boys helped with clearing and packing. We found a tiny pair of slippers wrapped in newspaper with a note attached ‘Stephen’s first shoes”, their Grandpa born 1922. 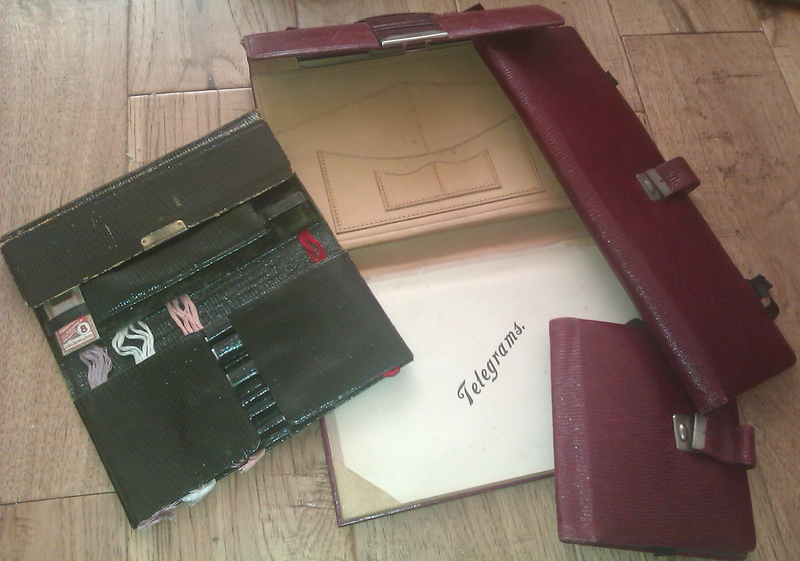 One suggested we make a scrapbook of family history and memories so none of this gets lost. I like that idea. I think Mum and Dad would too.